Denise Leograndis is a full time literacy consultant with A.L.L..
She works to help teachers and principals develop professional learning communities and build capacity by facilitating curriculum and lesson planning, as well as modeling lessons in K-6 classrooms. She coaches teachers toward best instructional practice including artful assessment and observation of individual students and the use of technology in literacy instruction. 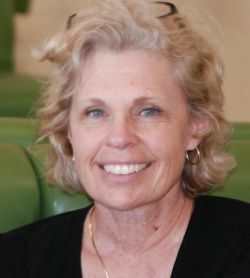 Prior to her current work in the San Juan Unified School District in Sacramento, CA, Denise was an exemplar writing teacher at Ponderosa Elementary School in the Santa Clara Unified School District for the literacy reform initiative, Every Child a Reader and Writer, sponsored by the Noyce Foundation. For seven years, she opened her classroom, modeled lessons and coached teachers from many districts in the Bay Area. Additionally, she co-plans, presents and facilitates at summer writing institutes. Denise has published two books for teachers, Fluent Writing (Heinemann 2006) and Launching the Writing Workshop; A Step-by-Step Guide in Photographs (Scholastic).